When a tooth has been damaged beyond what a simple filling can restore, a full coverage restoration, commonly referred to as a “crown” or “cap,” may be needed to restore a tooth. Many types of crowns have been used over the years: gold, metal alloy, porcelain fused to metal, zirconia, and now 100% porcelain crowns. Traditionally, crowns would require two appointments. Due to the time it took to “create” the crown in a dental laboratory, the patients two visits would be separated by two weeks, during which time they wore a “temporary” crown. Today, technology allows for most crowns to be completed in one just appointment. 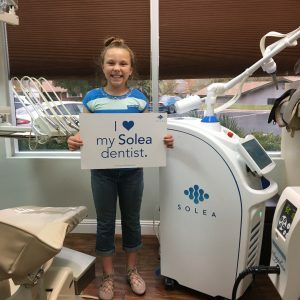 Dr. Denos was one of the first dentist’s to acquire the technology and skill to provide this service in Southern Utah. He has been providing same day crowns, using Cerec technology, for almost 10 years, and has restored hundreds of teeth with this transformative technology.